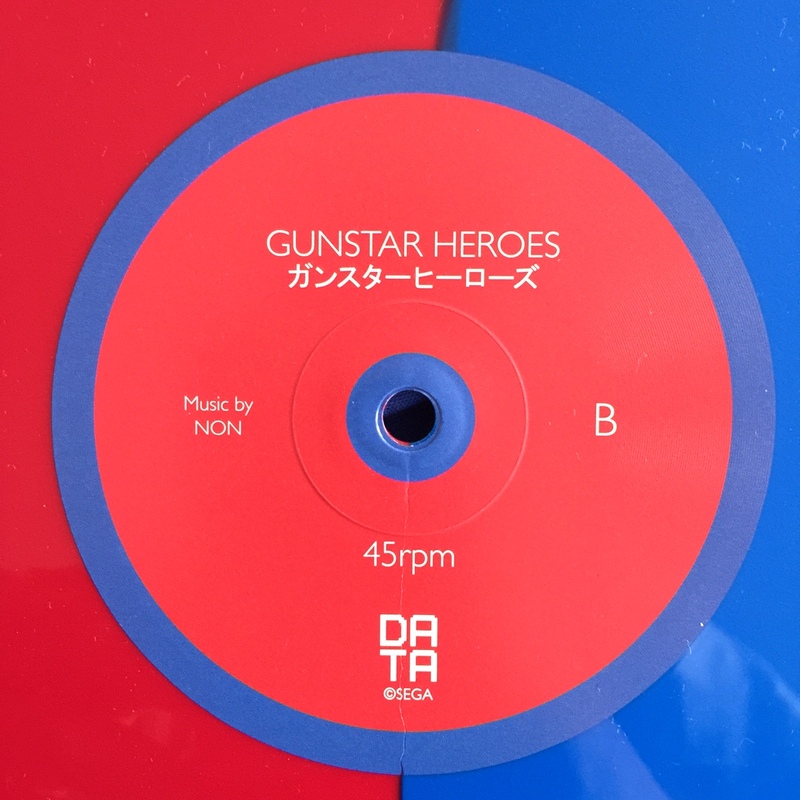 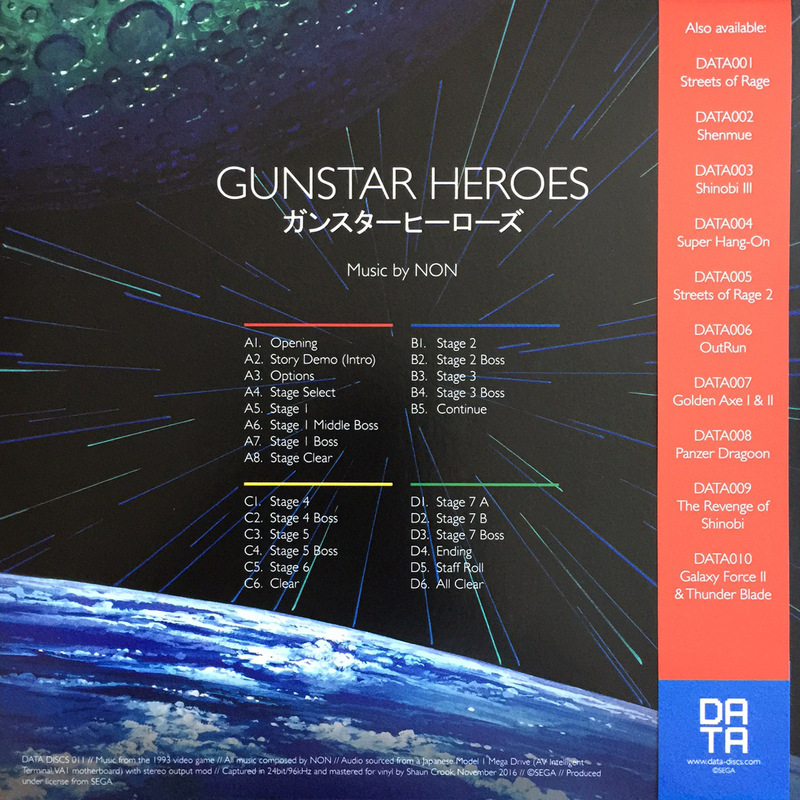 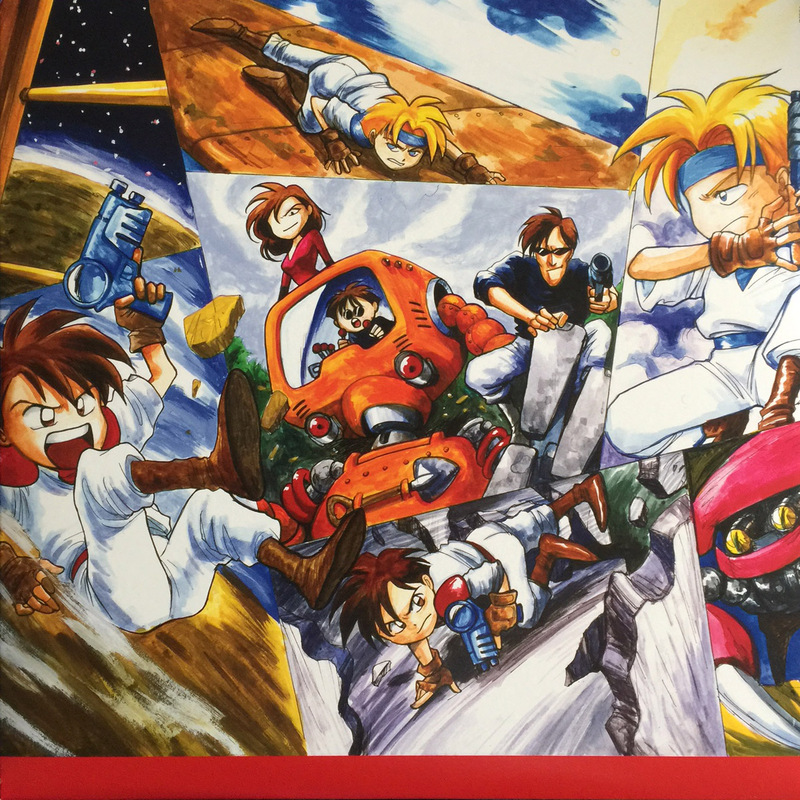 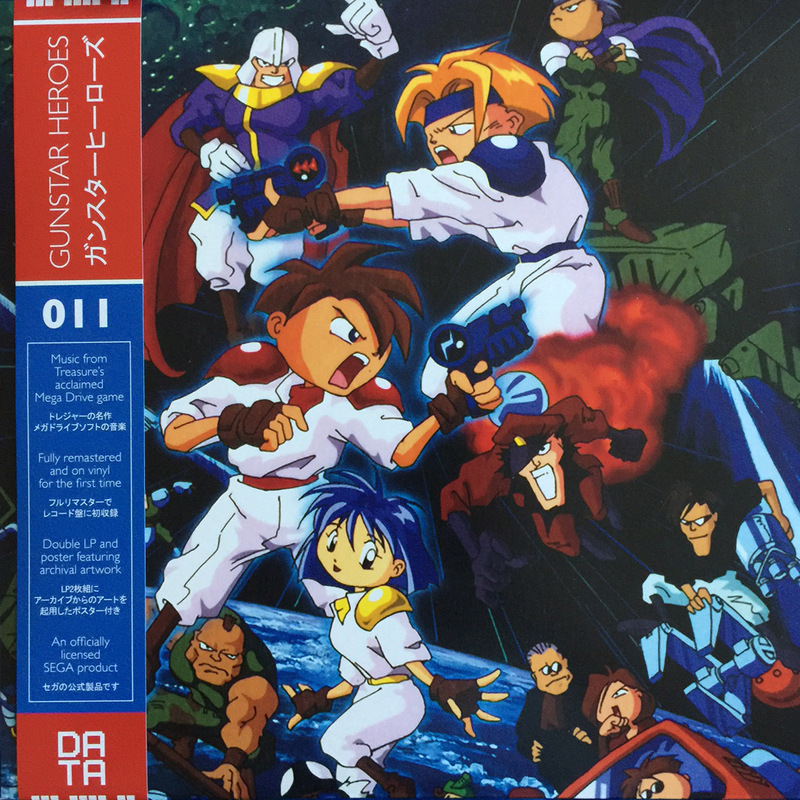 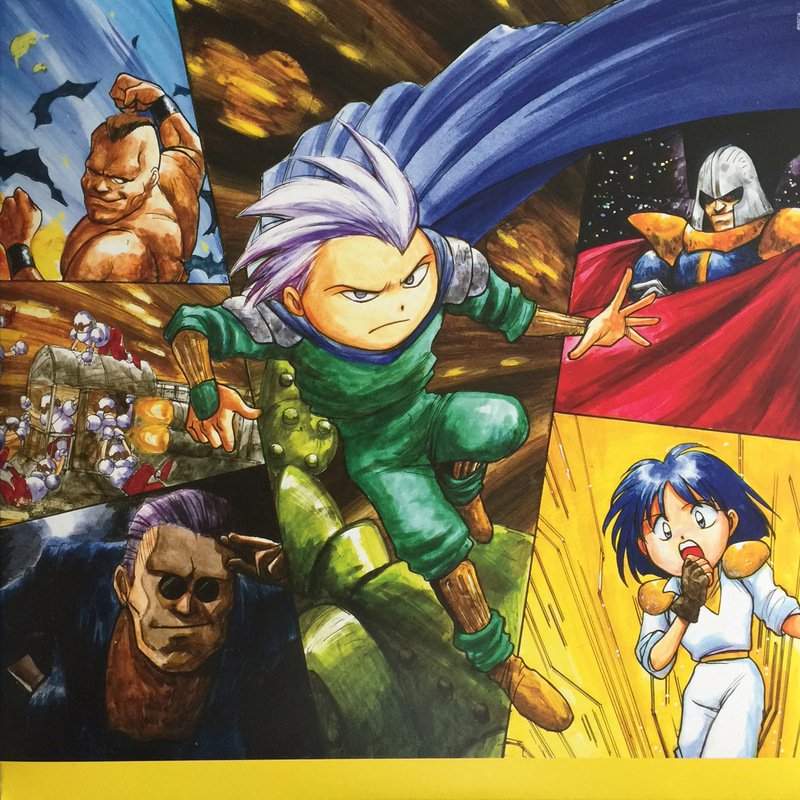 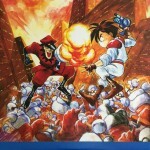 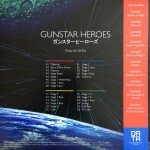 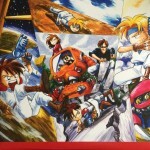 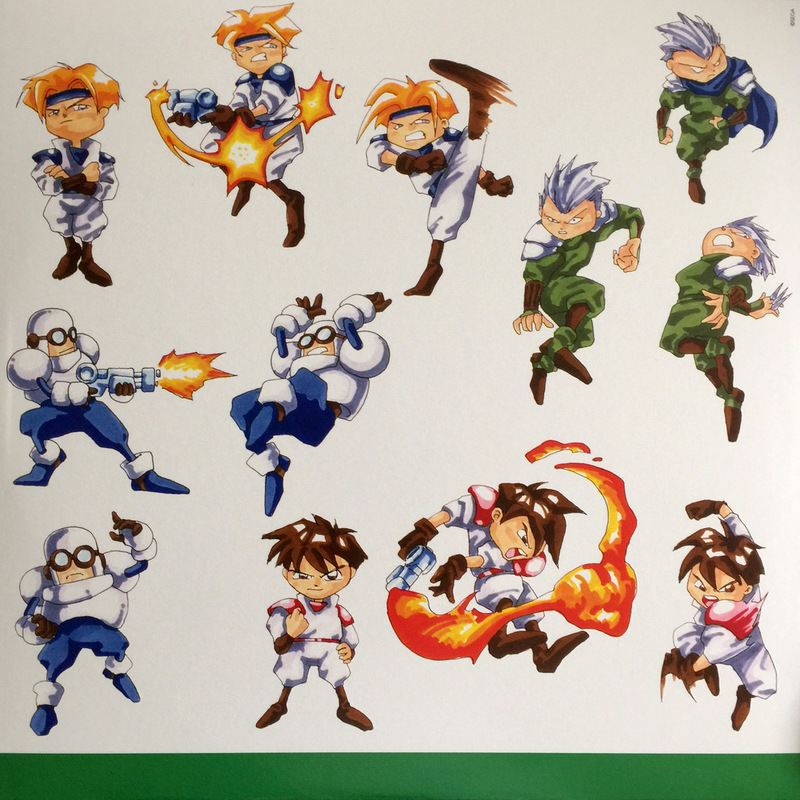 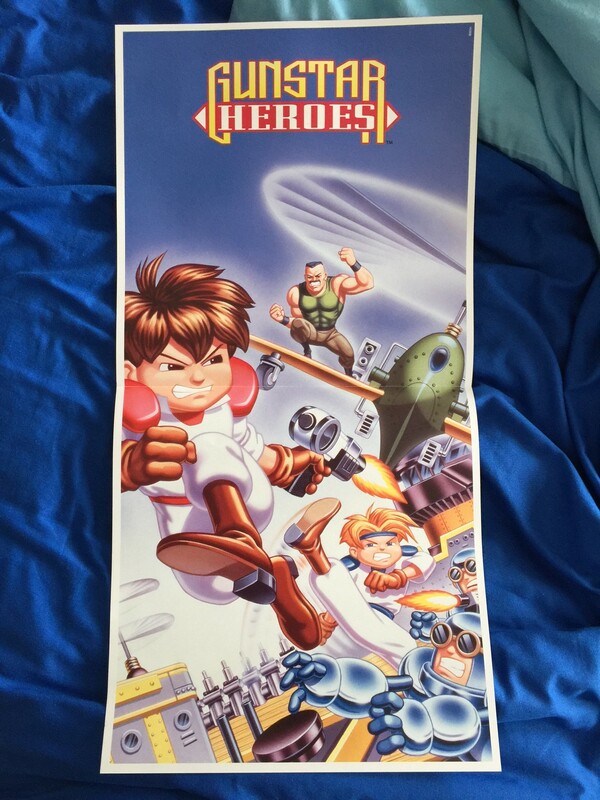 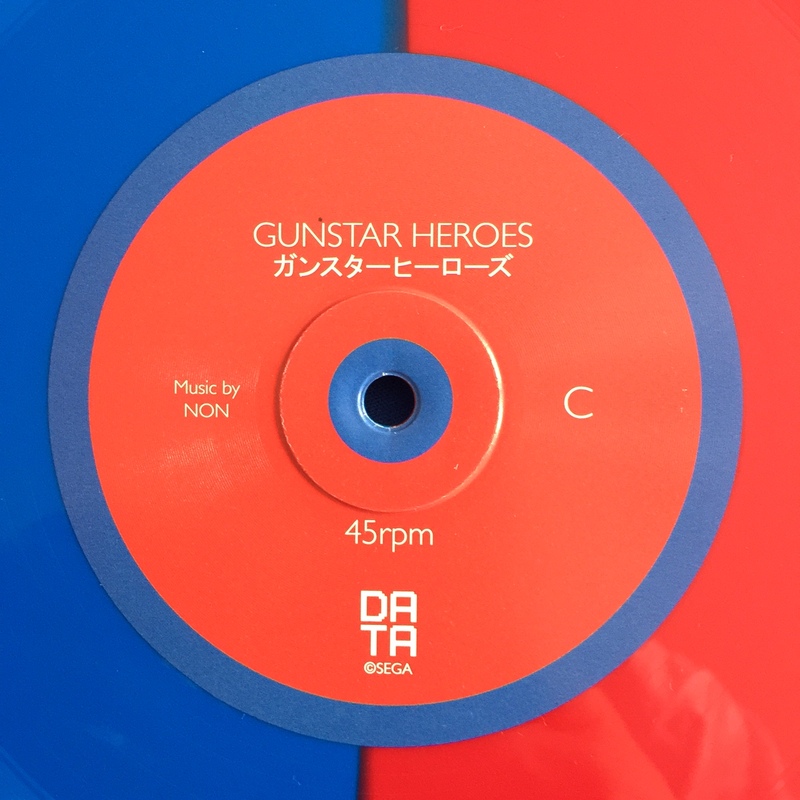 A 2017 double LP release of NON’s Gunstar Heroes soundtrack. This is the 11th SEGA vinyl release by Data Discs. 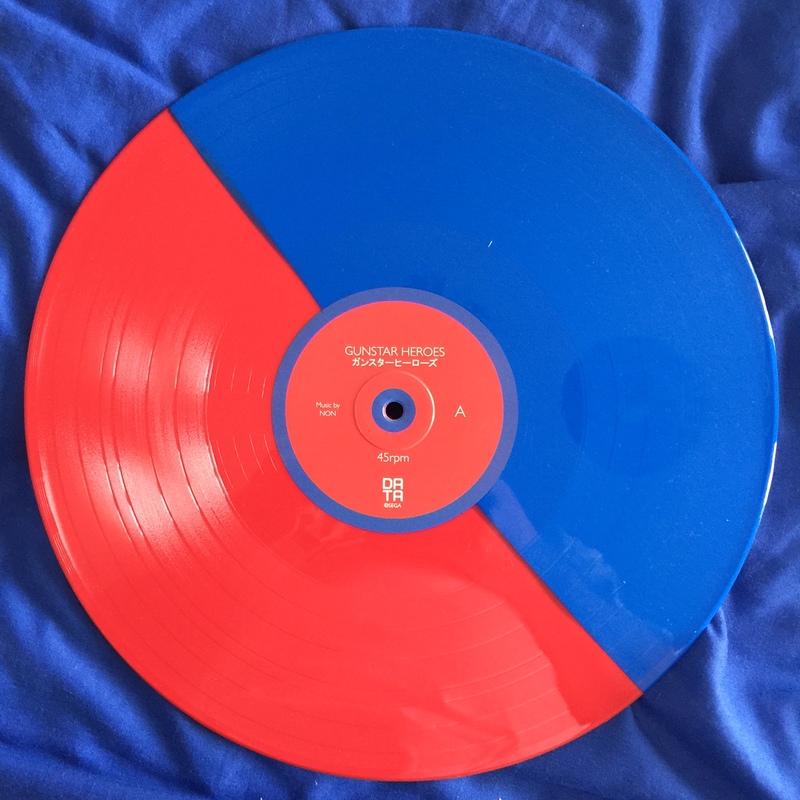 This is the limited edition pressing with half-and-half red and blue effect records. Larger pressings are available on solid red and blue vinyl as well as black vinyl. The records play at 45rpm and are housed in 2 sleeves that slot into a thick outer slipcase. 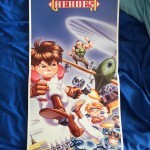 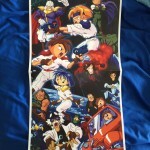 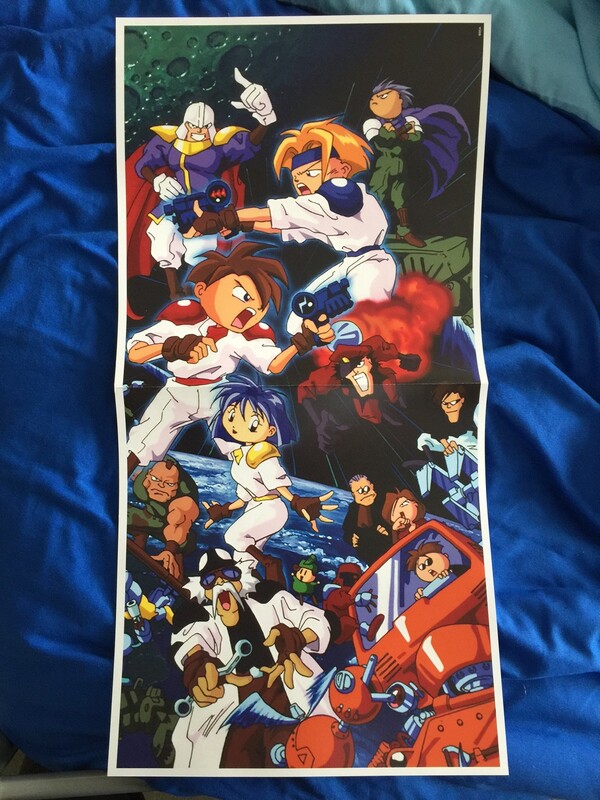 A double-sided poster is also included. 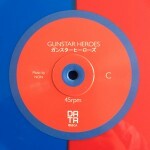 The run-out grooves on sides B and D contain infini-loops that repeat a sound effect from the game. 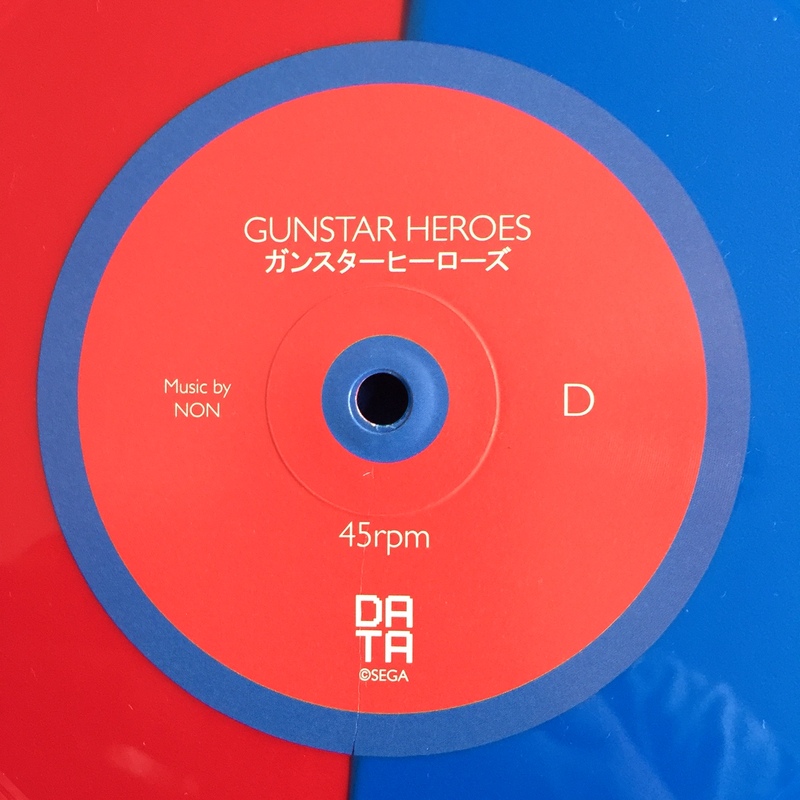 Each run-out groove also has a quote from the game etched into it.